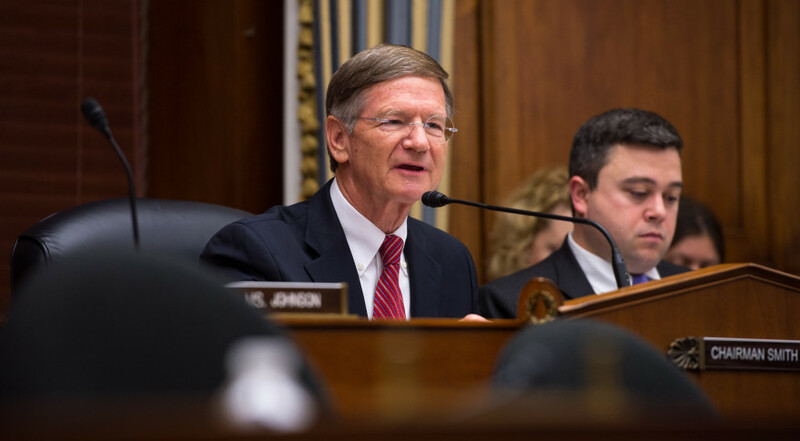 WASHINGTON — The chairman of the House Science Committee prodded NASA about what he suspects is special treatment accorded SpaceX following the failure of the company’s Falcon 9 rocket on an International Space Station resupply mission. In an Aug. 4 letter to NASA Administrator Charles Bolden, Rep. Lamar Smith (R-Texas) asked why the space agency formed an independent review team to investigate the Oct. 28 failure of Orbital ATK’s Antares rocket during a Commercial Resupply Services (CRS) mission, but did not do the same following the June 28 failure of SpaceX’s Falcon 9 rocket on a similar mission. “The discrepancy between the approaches taken by NASA in response to these two similar events raises questions about not only the equity and fairness of NASA’s process for initiating independent accident investigations, but also the fidelity of the investigations themselves,” Smith wrote. According to the letter, NASA’s CRS contracts with Orbital ATK and SpaceX give the agency discretion to independently investigate mishaps during commercial cargo launches, even though NASA does not have any statutory imperative to do so. CRS launches are licensed by the Federal Aviation Administration, making most accident investigations the responsibility of the launch provider. Neither Orbital ATK nor SpaceX have concluded their respective failure reviews. But Orbital ATK has blamed Antares’ AJ-26 main engine — which the company is replacing for future missions — while SpaceX has said a faulty strut on Falcon 9’s upper stage appears to be the culprit. According to Smith’s letter, NASA detailed its decision to investigate Orbital ATK’s failure, but not SpaceX’s, in a pair of memos written by Bill Gerstenmaier, the agency’s associate administrator for human exploration and operations. Smith’s letter, which cited — but did not reproduce — one of the Gerstenmaier memos, said NASA appointed an official from its Launch Services Program as a “primary interface” to the SpaceX investigation. “We would like the [launch services program] representative to be considered a member of the investigative team,” Gerstenmaier wrote in a memo to SpaceX President Gwynne Shotwell, according to Smith’s letter. Orbital ATK spokesman Barron Beneski declined to comment on Smith’s allegation, first reported by Reuters, of a double standard on NASA’s part. SpaceX spokesman John Taylor declined to comment for this story. NASA spokeswoman Tabatha Thompson declined to say why the agency stood up an independent investigation team for the Orbital ATK failure, but not the SpaceX failure. While Orbital ATK has no aspirations to fly crew to the space station, SpaceX holds a $2.6 billion NASA Commercial Crew contract to develop a human-rated version of its Dragon space capsule and Falcon 9 rocket. SpaceX could begin launching ISS crews as soon as 2017. Smith referenced that in his letter. “One would expect that NASA would be more interested in independently ascertaining the technical root cause failure of a vehicle that will use similar components for a future human mission,” Smith wrote. SpaceX is designing a crew escape system for the human-rated version of its Dragon capsule, and Shotwell has said the system would have kept astronauts safe, had any been aboard during the June 28 launch failure. Smith asked NASA to respond in writing to his letter by Aug. 17.